Construction work involving a marina and other supporting facilities as a stopover port for Volvo Ocean Race 2011-12 has been undergoing orderly and is expected to be completed by the end of this November, according to relevant departments. 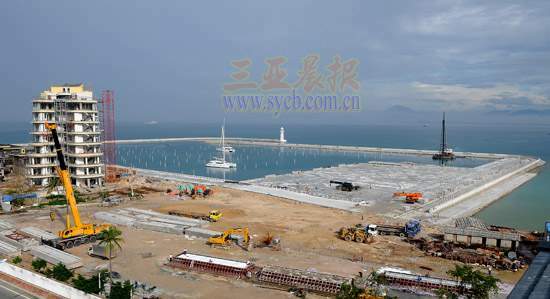 Covering a construction area of 600 hectares, the stopover is designed as a marina village located at Luhuitou Bay, of which 500 hectares will be located directly on the water. The race starts in Alicante, Spain on October 29th, will stopover in Sanya around February 4 to 19, 2012, conveniently timed to coincide with Chinese New Year celebrations in the city.